Information reaching this medium have it that the 1800 employment announced by the Executive Governor of Kwara State Alh Abdulfatah Ahmed is not real. According to a reliable source who confided with this medium said "The 1800 employment approved by the Kwara State Governor, Alhaji Abdulfatah Ahmed is just a political gimmick. "The governor only want to employ just 350 and not 1800 as he had announced and the employment is only meant for PDP members across the 193 wards of Kwara State. " "He (Gov. Ahmed) instructed Alhaji Abdulkareem Lambe the chairman Kwara State SUBEB to distribute just only 350 job slots he intended to give within the 193 wards across Kwara. He also said "Their plan is that every beneficiary of this job must come with clearance from Kwara State PDP ward leaders before they can be consider to be worthy for the job.... So what does that mean? Must we be a politician before I can be giving a job in my own state?”. 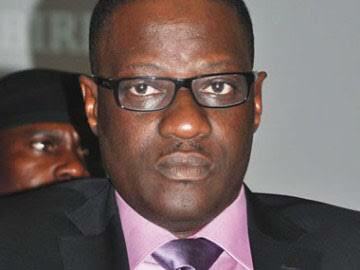 The source further challenge Governor Abdulfatah Ahmed to make the list of the beneficiaries of his 1800 job public.